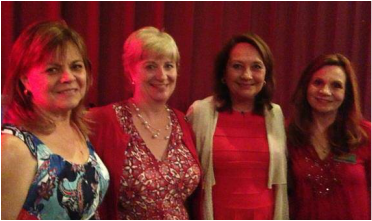 Members of the Northwest Austin Republican Women enjoy a lot of perks - dinner with Texas First Lady Cecelia Abbott was just one of those in 2014! We are currently accepting dues for 2019. Regular membership (women only) is $25, associate men and women membership is $15, supporting membership is $45, and young affiliate is $15. Dues can be paid by cash, check or credit card at any regular meeting, or mail a check to the address on the membership form. Regular, Associate, Supporting Members - What's the difference? Women who are regular/active members of other TFRW clubs can join as Associates with our club to support our activities while retaining full membership elsewhere.